This is the first morning in a week that I have been up before noon.....lol. I'm trying to get back into my normal groove!!! I've been up since about eight (still sleeping in, just not sleeping all day!!) and have had a couple of cups of coffee and made a big batch of home made pancakes for the kids. Home made ones are so darn easy and cheap that I don't even bother with mixes anymore.......and the kids love them.....score!!! I have a load of laundry in the was.....I didn't know it was possible ton get sick of wearing sweats but I'm there!! I may wanna leave the house at some point over the weekend and not scare the heck out of everyone.....not likely, but it could happen....lol. Other than that my weekend plans include putting up the Christmas decor and tree and decluttering my living room!! 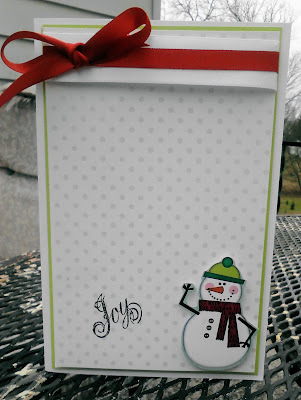 I've taken a mini break from Frosted Designs 12 days of Christmas challenges.........I say mini cuz I do have more projects, they just aren't photographed yet!!! I gotta get hustlin cuz I only have a couple more days til the challenge deadline and I am only halfway thru them all! I am extra super motivated now cuz my friend Christine finished them ALL!!!! I feel like such a slacker now.........lol. I really should be getting ahead on my DT projects, but why do today what you can put off til tomorrow right? lol. This pad is seriously stunning in person.....and everything was half off at Hobby Lobby!!! Normally I don't advocate going to the Hobby Lobby........lol. I have had some BAD experiences there....including being asked, not so nicely, to stop taking photos of their Christmas setup when they put it out back in October........yeah, I am a secret agent for Micheal's!!!! Geeeze!! 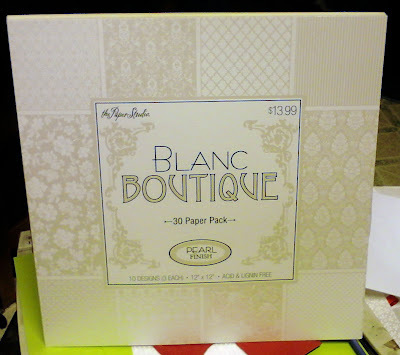 But I just happened to be by there and really needed a couple of things (or thought I did....lol) and this pad was actually marked down to 10 bucks....and I got half off that at the register....SCORE!!! 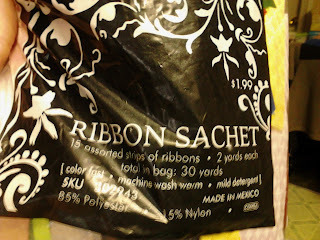 Anddddddd you ribbon lovers......I found this in the fabric and notions dept..........in the discount bin. Basically it's odds and ends.........30 yards of assorted for a buck 99..........no kidding!! I bought 2 bags and will most likely never need ribbon again.......lol. And the ribbons are GORGEOUS!!! I used them on my lift of Kimberly's card!!! See?? 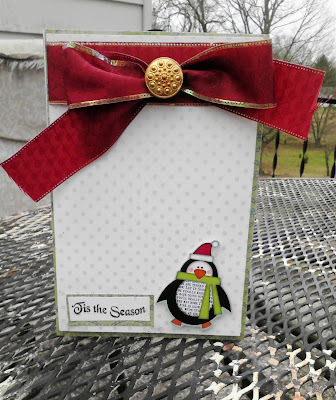 I left one blank because I liked the look of it, but I did add to it later........I'll show you in an upcoming post!! 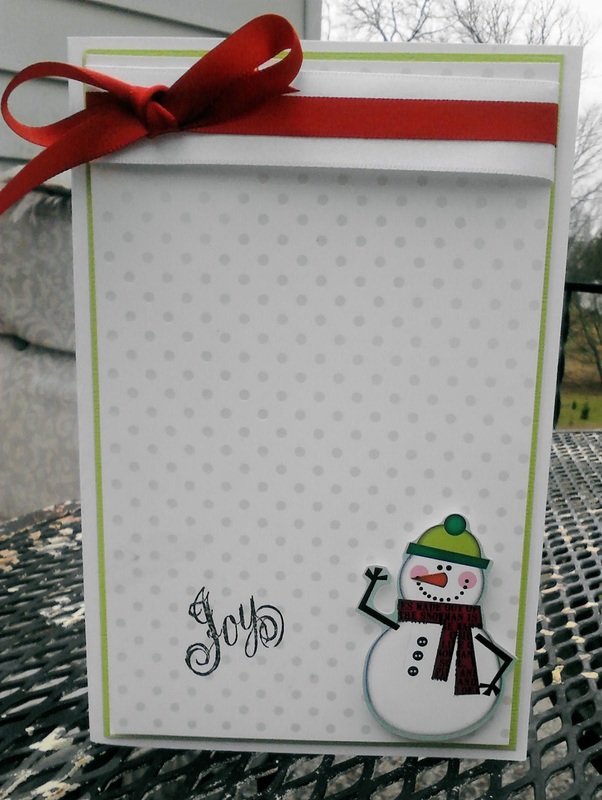 I AM NOT A CARD MAKER!!! But I do love these little babies........and they are going out in the mail today!!! I LOVE the ribbon on this one.....don't judge, I can't tie a bow either......lol. 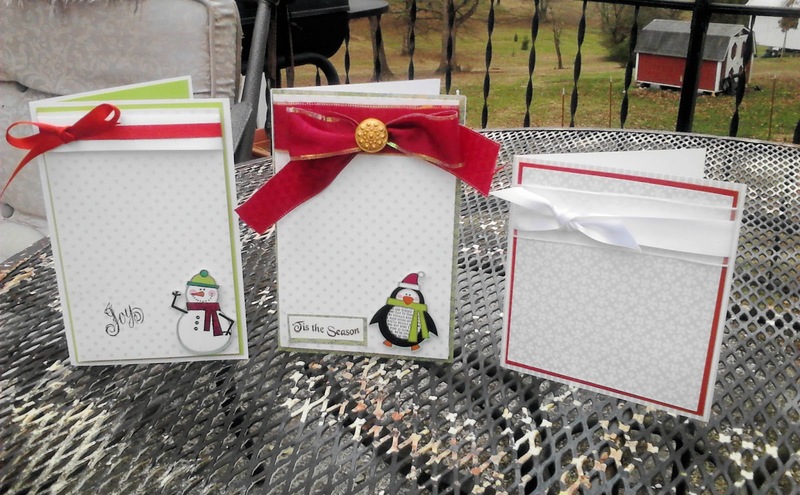 The cute little stickers are from Paper Studio too......I thought they'd be perfect for some Christmas thank you cards :) The stamp set is also from Hobby Lobby....the no name set.....seriously, no name on it anywhere!!!! It's cute tho!!! So there ya go!!! My copycat cards :) I've lifted another friend and you will see that one later too......I have no mojo of my own so I am stealing it.......LOL. Those are AWESOME!!!!!! I think I'm partial to the little penguin one. I'm a sucker for penguins...so CUTE! And I think it's a perfect bow!!! I love them all, but like Christy, LOVE the penguin!! And that bow!! You rocked that one!! Oh my goodness Tina you cards rock! You say you aren't a card maker. Well you just proved your self wrong. They look amazing! I am so honored that you picked my card to lift! So hoping I will be able to scrap this week and join all of you again:) I have missed you! These are ADORABLE!!!! Love them!!!! Like the CAS winter cards. They are cute. 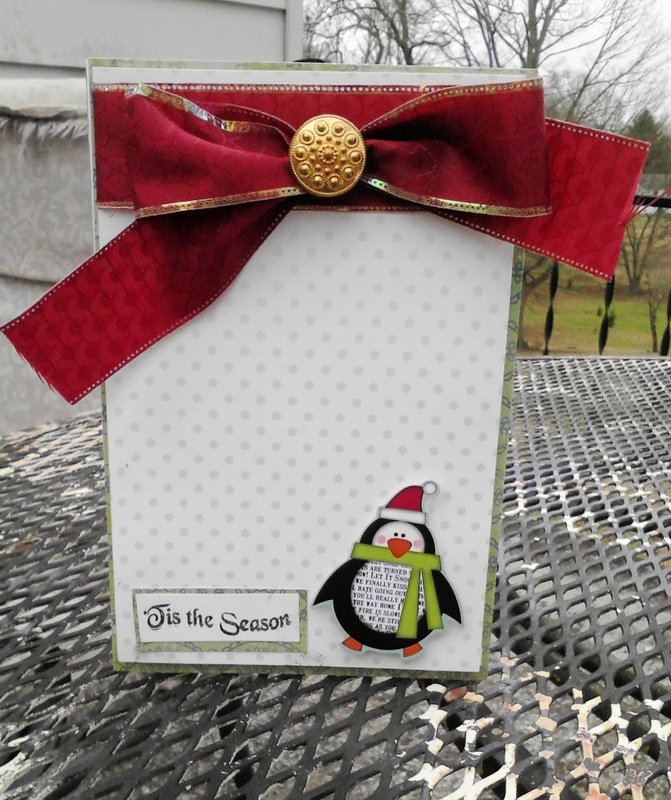 Thanks for entering PDE Anything Goes challenge. I host a wkly challenge at Marks Finest Papers Simple Salutations in which this wk the challenge is Anyuthing Goes Card with sentiment. Please enter & let them know I sent you. I've photographed in Hobby Lobby & other stores but as a rule I always ask if I can photograph first. Some stores have a sign that indicates no photos allowed. HL has always allowed me to photograph their Christmas trees & such. What fun. 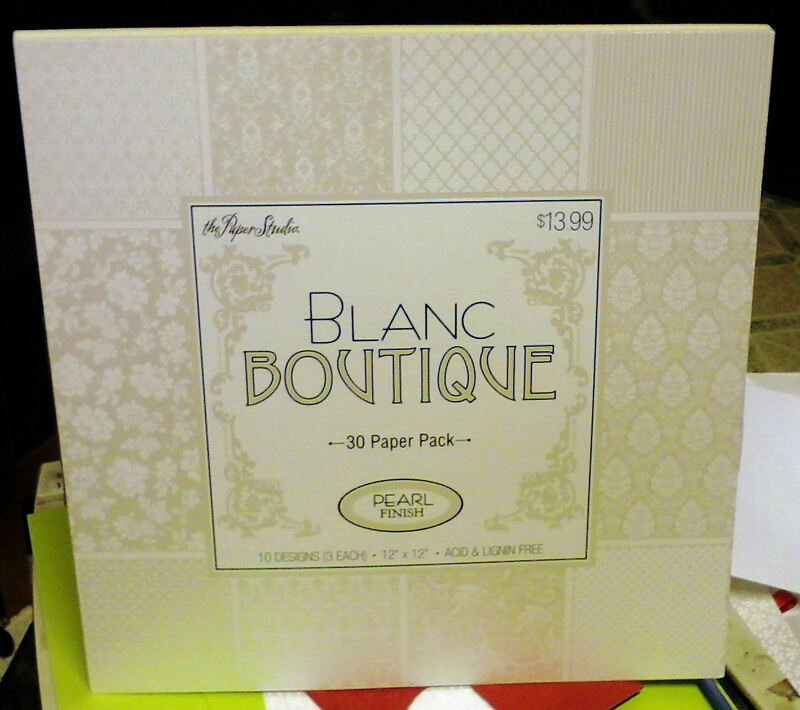 Love the papers and your cute designs. very very sweet imitations!! ooooooo purdy! nice "lift" !!!!! 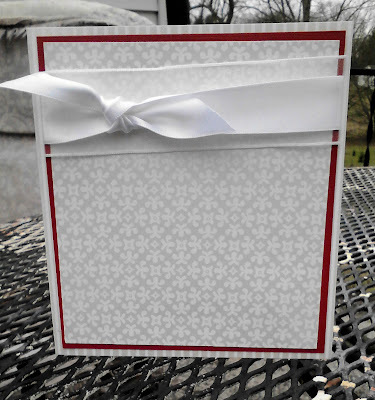 One more day to play along at Frosted Designs! - c'mon, you can DO IT!!! The prizes are fabulous - hope you win! Super cute cards, Tina! Thanks for joining in on our Little Miss Muffet challenge!